At first glance, the bold, arrogant Leo man and the quiet, modest Virgo woman seem to be an odd match. This is quite a quirky relationship, but it can work where there is a strong mutual respect. The Leo man and the Virgo woman move in different circles, with different interests and different sets of friends, so sometimes it’s difficult for them to get together in the first place. When they do, however, the gentle Virgo woman will be attracted to the sincerity and warmth of the Leo man, who will show her a great deal of respect and offer her an old fashioned courtship. He is attracted to the Virgo woman’s slightly mysterious persona, and he wants to know what she’s really like beneath her inscrutable mask. This couple are intrigued by each other, which is likely to be the starting point for Leo man Virgo woman compatibility. As the relationship progresses, the Leo man will be delighted to discover a hidden sensuality in his Virgo woman, and she in turn will be swept off her feet by his joyous, overwhelming passion and enthusiasm. In terms of sexual compatibility, then, this partnership works surprisingly well, although this couple’s passion will be a very private thing – the Virgo woman doesn’t go in for public displays of affection, which is fine by the Leo man as he likes to maintain his dignity too. Where Leo man Virgo woman compatibility may start to come unstuck, however, is in the details of the relationship once it is established. The Leo man wants to be adored and demands a lot of attention from his lover. The Virgo woman is nobody’s fool and can’t see the point in flattering his ego constantly. She will tell him things as they are – giving him credit where it’s due, but also criticizing him. A lot. Perhaps infamous for her ability to nag, the Virgo woman will criticize from a place of love, genuinely wanting her Leo guy to improve himself, but his ego won’t tolerate this kind of criticism for long. The Leo man’s inability to hear criticism, in fact, may be the first stage of the death knell for Leo man Virgo woman compatibility. When the Leo man loses his temper, his earthy Virgo woman is unimpressed by the flamboyant shouting and yelling. She is surprisingly strong and will not give in to this kind of pressure. She will instead try to reason with him, and given that she is ruled by Mercury, she’s highly likely to outsmart him in a verbal argument. This is another blow to the Leo man’s rather large ego. For his part, the Leo man may quickly tire of the Virgo woman’s lack of self-esteem. In his eyes, it’s other people’s jobs to boost his confidence, not his job to boost hers. If she fails to live up to his expectations in his social life, for instance, he may decide that he would prefer a more socially confident partner. Leo man Virgo woman compatibility must overcome these hurdles if it is to survive. Actually, this couple do have a lot to offer each other, if they can work it out. The Virgo woman will devote herself to her Leo man’s success and can be a huge help to his career and his ambitions, selflessly giving her time and support. In return, the Leo man can really make the Virgo woman feel good about herself, and he will encourage and support her own interests too. 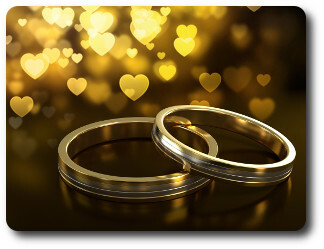 When they’re truly in love, Leo man Virgo woman compatibility can make for a very good team – but both partners will need to understand the other partner’s needs, and to make allowances for them.